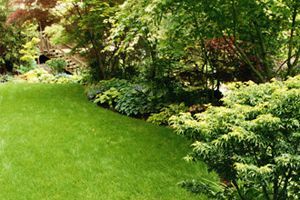 Green Collar Lawns & Landscapes, Inc. Comment: Need to empty dirt out of 5 large flowerpots and put in the flowerbeds. Then mulch spread on top. Comment: I just purchased this home and have not had time to measure but it takes about 45 min to an hour to mow. I just wanted to look into a sprinkler system and how much it would cost. Looking for maybe 4 sprinkler heads for the front and about 5 to 6 in the back. Comment: Front yard to be mowed every two weeks. Will pay cash. Comment: Small front lawn, medium back lawn, back lawn is getting out of hand, needs love soon. Norfolk Lawn Care Services are rated 4.71 out of 5 based on 2,326 reviews of 29 pros. Not Looking for Lawn & Garden Care Contractors in Norfolk, VA?